What began as a television show grew into an entertainment franchise that has consistently depicted humanity’s greatest hopes for a better tomorrow. Throughout the Gene Roddenberry-created Star Trek’s multiple series, viewers were exposed to a world where technology and science helped improve the human condition. Futuristic technological advancements featured in the show bear striking resemblances to the cell phones and virtual reality systems in use today. 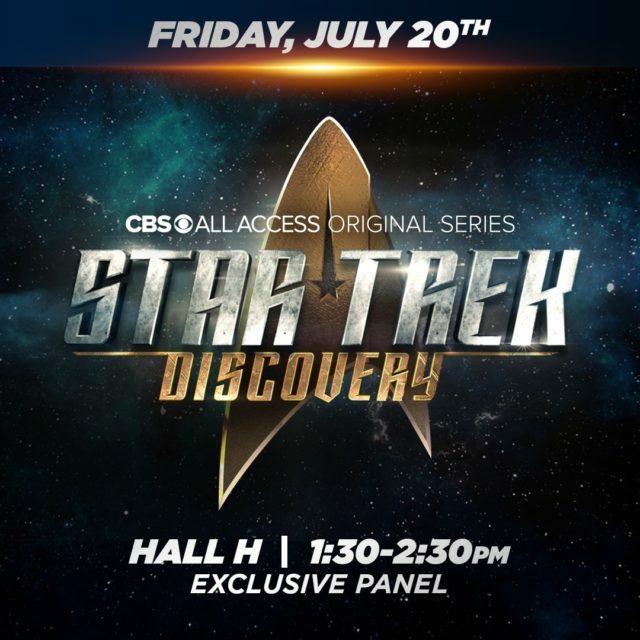 TrekMovie.com has some quotes from the cast of Star Trek: Discovery on the upcoming season speaking at Fan Expo Canada in Toronto. William Shatner told the Toronto Star that he is not interested in doing a new Star Trek series like Patrick Stewart. You shouldn’t worry that it is going to be full of obscenity and stuff. He wants an R-rating to really make those beats of consequence land. If it’s not PG, if someone gets sucked out into space, which we have all seen before, we might see them get disemboweled first…It allows some some breadth…gives him some leeway to do that. To me, that was always one of the things I loved about what DeForest Kelley did. He would actually capture the horror of space. That look in his eyes of sheer terror always struck me when I was a kid. TrekMovie.com has an excerpt from, So Say We All , an oral history of the Battlestar Galactica series, discussing how Deep Space 9 paved the way for BSG, and the long road towards a more serialized format on Star Trek series. 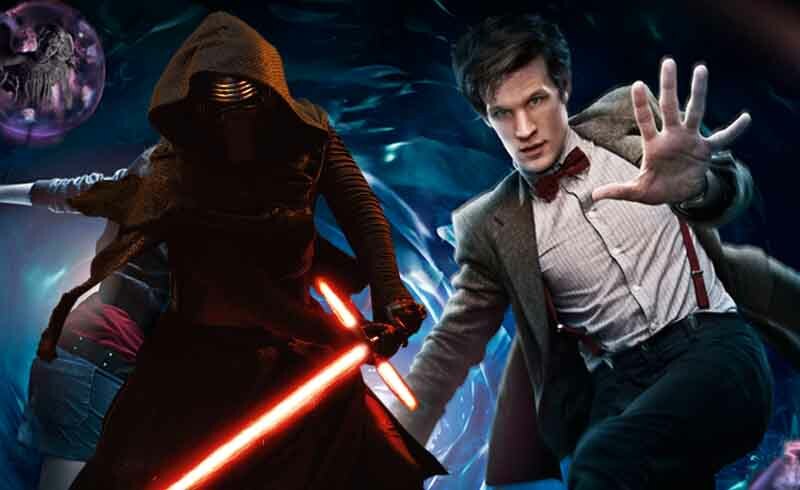 Variety reports that Matt Smith will be joining the cast of Star Wars: Episode IX. While we still don’t have much information on the upcoming episodes of Doctor Who, Radio Times reports on hints of “dark,” “epic” and “squelchy” episodes coming. Metro has a story on the CGI effects. Others recently revealed to be included in Star Wars: Episode IX include Keri Russel of The Americans. There continues to be few new genre shows currently on, but there was one major finale to look at. 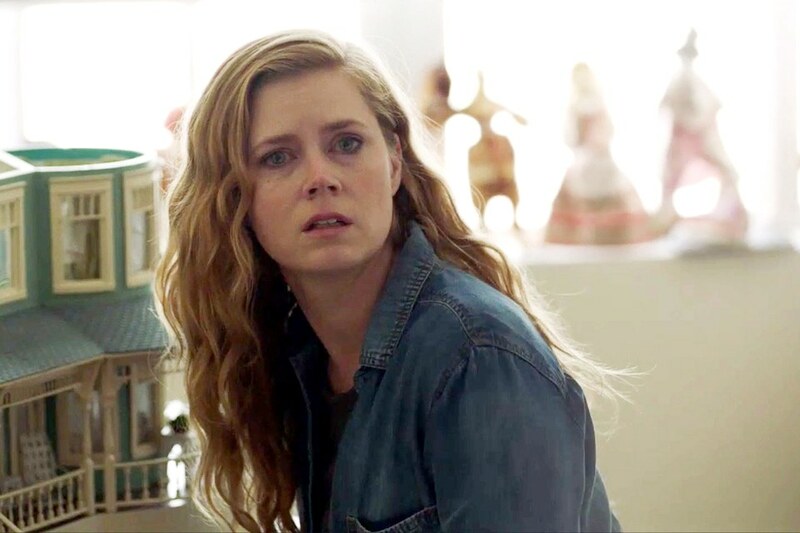 Sharp Objects ended essentially the same way as the novel, but (major spoilers) did end with the revelation that, while Adora killed Marian, Amma killed the girls with help from her roller-skating friends. 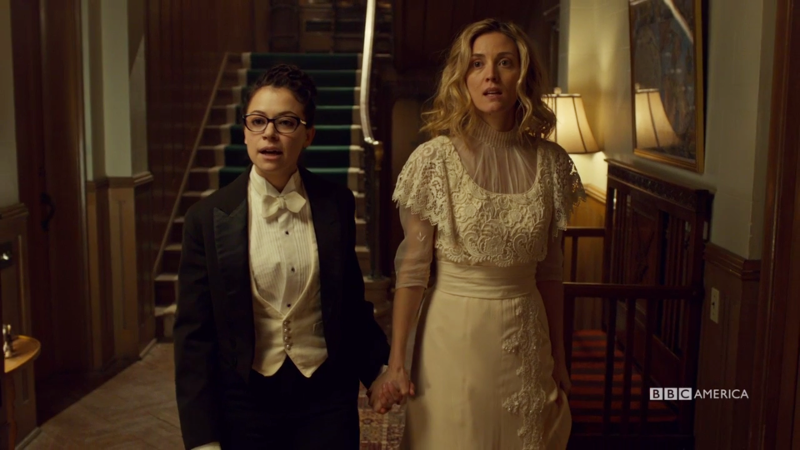 The show used this as the surprise ending, leaving out the aftermath described in the novel. 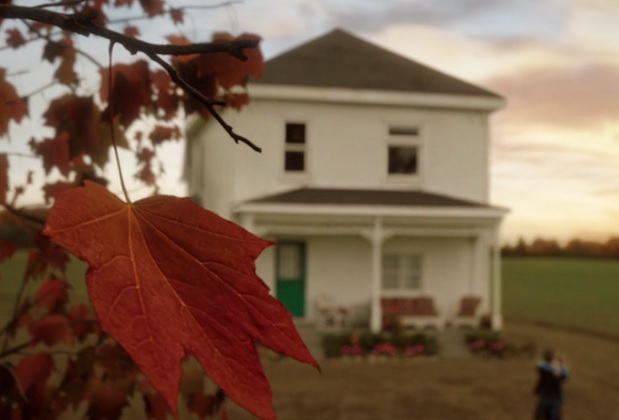 The television series ended with Camille seeing the teeth in the doll house and Amma (an anagram for Mama), telling her, “Don’t tell Mama.” Then there are a couple of scenes in the credits which quickly fill in the details of the killings, and revealing that Amma was the woman in white. Why did Amma do it? In the book, there’s a lot more explanation: Amma tells Camille that she had fun at first with the violent little Ann and Natalie. They killed a cat together! But at a certain point, the two girls started hanging around her house too much, asking too many questions about Amma’s mysterious illness—and worst of all, getting too much attention from Adora. Amma murdered the girls partially because she’s been warped by being poisoned by her mother her whole life. Often, children who have been subjected to Munchausen by Proxy have a hard time distinguishing what constitutes real violence and separating the idea of pain and affection. “A child weaned on poison considers harm a comfort,” Flynn writes. In the book, Amma gets arrested and goes to prison. She’s only 13 in the novel, and is definitely tried as a minor. She’ll be in there until she’s 18, at least; Camille suspects even longer. Amma has shorn off all her hair—an act of defiance that mirrors young Camille’s cropped cut. (All the good girls of Wind Gap have long flowing hair, but Amma isn’t in Wind Gap anymore.) Camille visits Amma, who is having a hard time adjusting to life behind bars. Amma hasn’t recruited any new disciples . . . yet. In the book, after Amma is arrested, everything unravels for Camille. She takes a knife to the one uncut part of her body—her back—and is only prevented from going after her own face because her editor, Curry, breaks in and stops her. She goes to live in the Curry house, and is slowly rebuilding. She’s also given up drinking. We have to start with that ending and how abruptly we cut from the revelation that Amma killed the girls, to the Led Zeppelin song, to the credits. 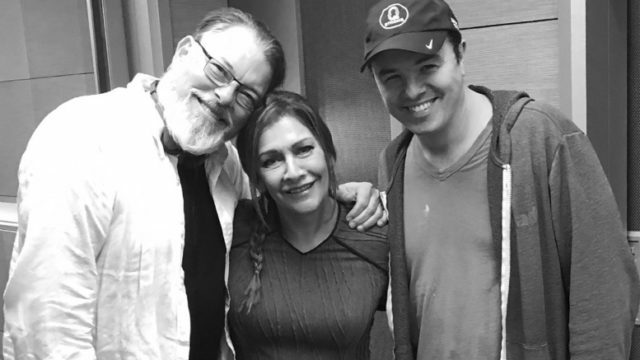 How did you and Marti and everyone decide that was how you wanted to wrap up the season? That was mostly a Jean-Marc choice. It was his idea to have, right at the moment people are looking at each other to start theorizing about what happened, those quick shots of what exactly happened, and then that last final shot of Amma as the Woman in White. If you stay long enough; I don’t know if you saw that part. I did, but that’s still a relatively new thing for television. The Marvel movies have trained audiences to watch through the credits, but outside of Westworld, TV doesn’t do much of this. Was there any concern that the audience might turn it off before getting to that? Now that everyone watches TV differently, the idea is that you can go back. If it becomes a viral thing, like the different words [on Camille’s body] that people were looking for, you have an opportunity to go back and look for it a second time. You can hold the episodes on your DVR or on your devices and go back easily. The book spends more time letting Camille and the reader absorb and contemplate Amma’s role in things. As the author, how did you feel about Jean-Marc’s choice to end things so abruptly after that’s revealed? For the benefit of people who didn’t read the book and have only that ending montage to go on: Adora was responsible for killing Marian with Munchausen by proxy, and was doing the same to the Natalie and Ann, but it’s Amma who went and killed them on her own? She wasn’t necessarily doing Munchausen by proxy — she was tending to [Natalie and Ann], and that made Amma very angry. Amma is the one who feels like she’s made that sacrifice. She has allowed herself to be sickened by Adora, and therefore she feels like her treating any other girls is a deep violation of that contract. And I don’t blame her in her child mind logic. That made her angry, so she sociopathically chooses to kill the girls. 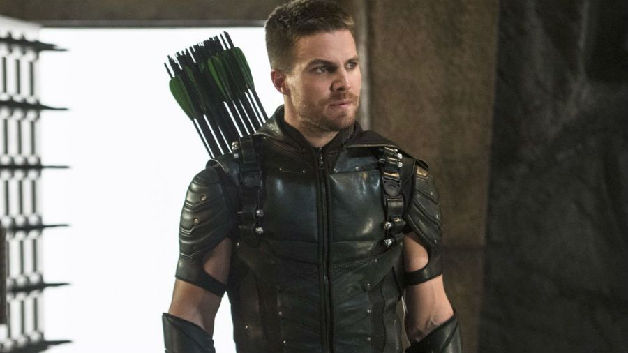 Syfy.com has excerpts from a recent interview with Stephen Amell on playing the Arrow. 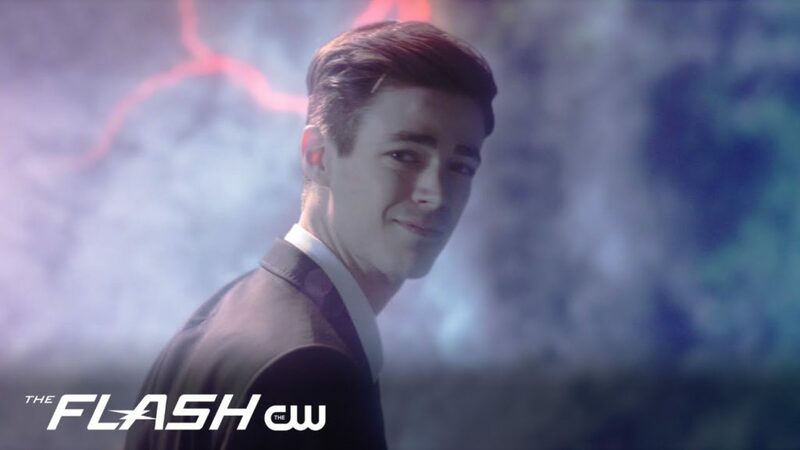 They also have some information on the upcoming season of The Flash. Iron Fist returns for season two next week. Hopefully they have fixed some of the problems from the first season. Bleeding Cool has some behind the scenes videos and pictures. I recently noted that Christian Slater was saying that Mr. Robot will end with season 4. Variety confirms that the show will end after the fourth season. 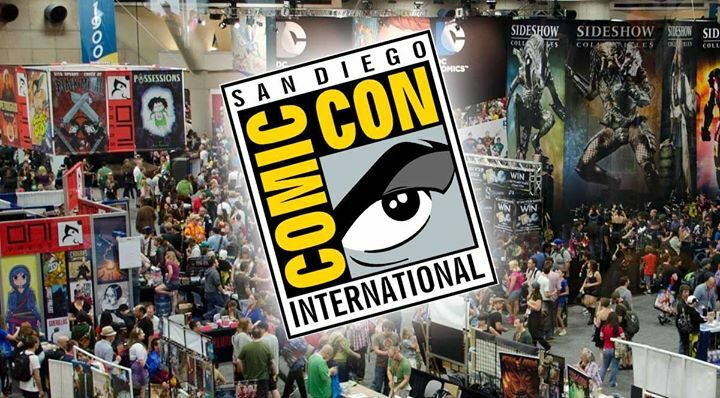 A federal judge has ruled that only San Diego Comic Con can use the term comic con, and that other comic conventions using the term are infringing on their trademark. The original X-Files Barbie dolls, seen in the picture above, did not look all that much like Mulder and Scully. New versions are being released for the shows’s twenty-fifth anniversary, which can be seen here. They look much better, and can be pre-ordered for $40 each. For a while the producers of Star Trek: Discovery teased us by not telling us whether we would only see a younger version of Spock in flashbacks in season two versus an adult Spock. Once the premise for the season was released at San Diego Comic Con, it looked far more likely that a new adult Spock would be cast. We subsequently learned there would definitely be an adult Spock–but one not as developed as the one seen on the original show. 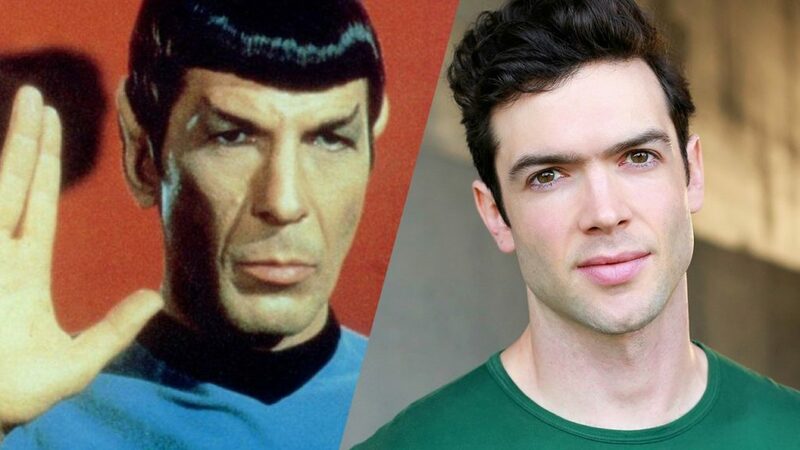 CBS finally revealed last week that Ethan Peck has been cast to play Spock. During a panel at Star Trek Las Vegas, Star Trek: Discovery makeup designer Glenn Hetrick teased that the Klingons will be getting a new look in the second season of Star Trek: Discovery. 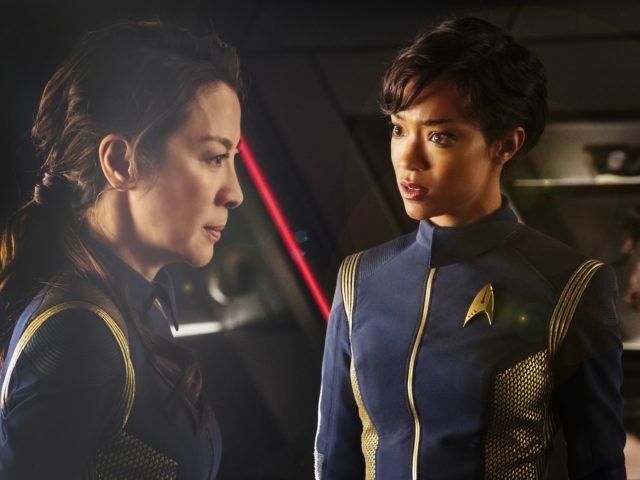 The creative team behind Star Trek: Discovery has repeatedly said the show’s second season will provide many answers to lingering questions about how Star Trek: Discovery fits into established Star Trek canon. 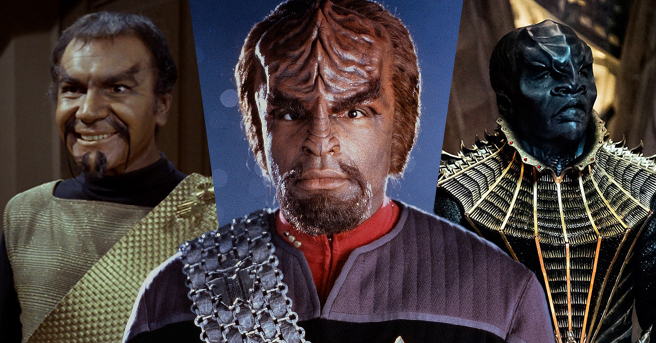 Hetrick offered a hint about how the series’ very different-looking Klingons may fit in with the Klingons fans have come to know from previous Star Trek shows. That has to do with how appearance is tied to family, like almost everything else in Klingon culture. I fear that there will never be a consistent explanation which encompasses the various ways Klingons have looked in various series, and which is consistent with the weak explanations given to date. Personally I’m fine with the meta explanation that it is a consequence of different special effects being used in different eras, but this is sure to lead to some debates among fans. I think Voyager’s “Endgame,” the final episode, the first hour was amazing. The second hour tied things up too quickly, right? They should have aired the first hour on your television screen and on the end say “To be continued in a theater near you” and and film a Voyager two and a half hour movie, got rid of the Nemesis script. Because, let’s face it, if your TNG feature film script is not as good as certain TNG TV episodes, don’t film it. Sorry. A longer conclusion for Voyager would have probably made for a better story than Nemesis. 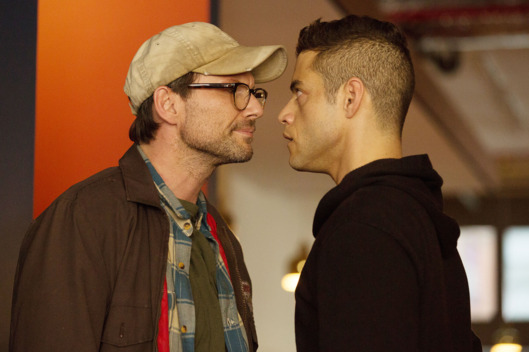 How are things going with Mr. Robot,now that you’re heading into Season 4? SLATER:Yeah, Season 4, and I believe that will be the last season. (Show creator) Sam [Esmail] always said it was going to be somewhere in that zone, and he didn’t want to go further than what he could creatively contribute to that storyline. So, I think that Season 4 will be it. I think they’re in the writers’ room, as we speak, putting it all together, but I have no idea what it’s gonna be, or if I’m gonna be floating in and out of scenes. I have no idea, so we’ll see what happens. Damon Lindelof’s television version of Watchmen has been officially picked up by HBO, with the series expected to premiere in 2019. TNT has picked up the sequel to The Alienist, entitled The Angel of Darkness. The Iron Fist season 2 trailer is now out (video above). Hopefully the producers learned from the problems with the first season. 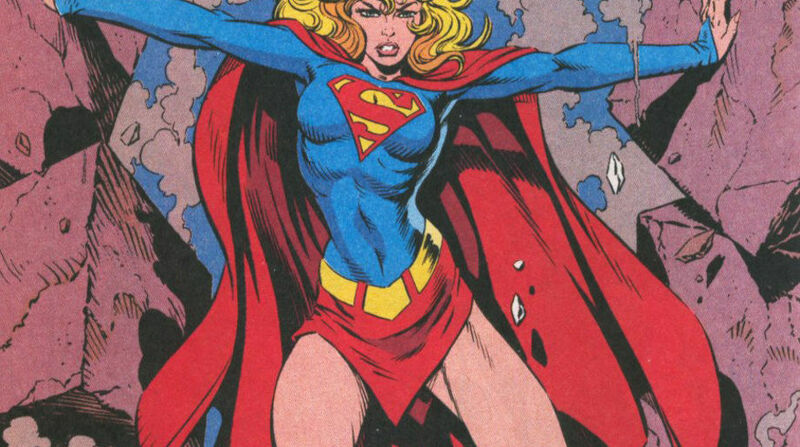 The version of Supergirl seen on the television show is quite a bit different from the comic version I read back in the 1960’s. 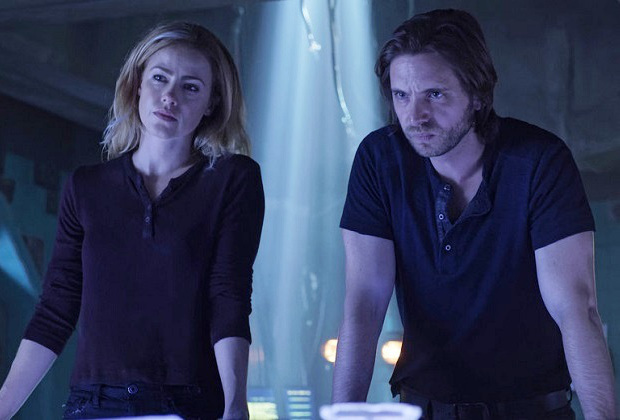 Syfy helps out with a summary of The Many Retcons of Supergirl. Arrow will be changed somewhat with a new show runner coming in, both bringing back aspects of the first season and doing some things new. 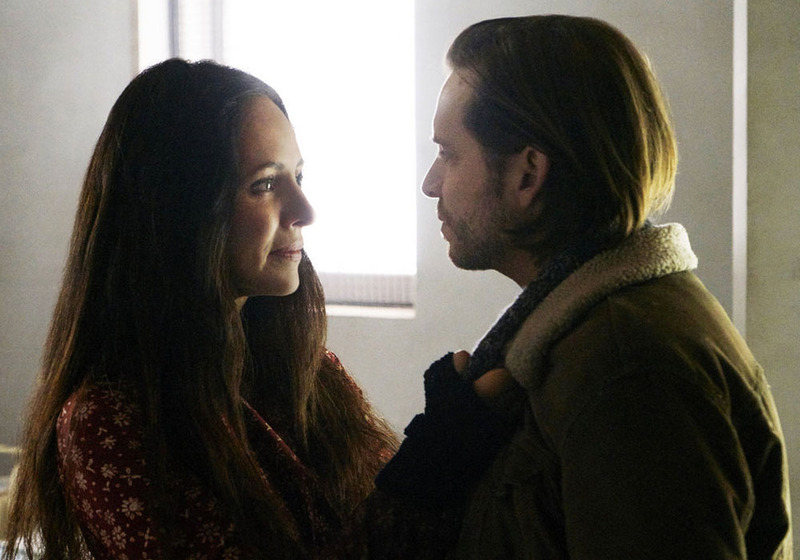 The new showrunner had to clear some of their plans with the network censors. The season 7 premiere will be directed by one of the show’s longtime stunt coordinators, James Bamford. He said that he’s bringing in some of the classic feelings of the inaugural season, but also with some new elements mixed in. 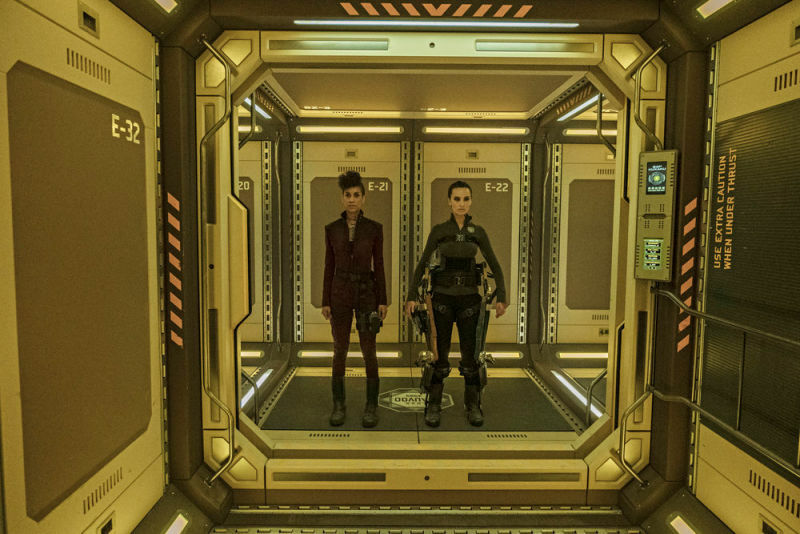 “In the premiere you will find some elements with the Season 1 feel, but you will find other elements that is new, uncharted territory,” said Bamford. James said he and the newly-promoted showrunner Beth Schwartz have intense plans for this fall that led them to having a meeting with the network’s censors. It is a shame that the show is on the CW Network and not on Netflix, but we have to deal with what we have. Imagine if Jessica Jones had to be toned down to broadcast television standards. Called Star Trek: Short Treks,each of the four-episode series will run between 10-15 minutes and feature deeper storytelling surrounding the characters and themes from Discovery and the expanding Star Trek universe. The series will launch in the fall and roll out monthly, helping to keep awareness of Discovery high before its return in January 2019. Rainn Wilson will reprise his role as Harry Mudd in a short he will direct. Aldis Hodge (Hidden Figures, Showtime’s upcoming City on a Hill) will star in another installment as Craft, a man who finds himself the only human on board a deserted ship. 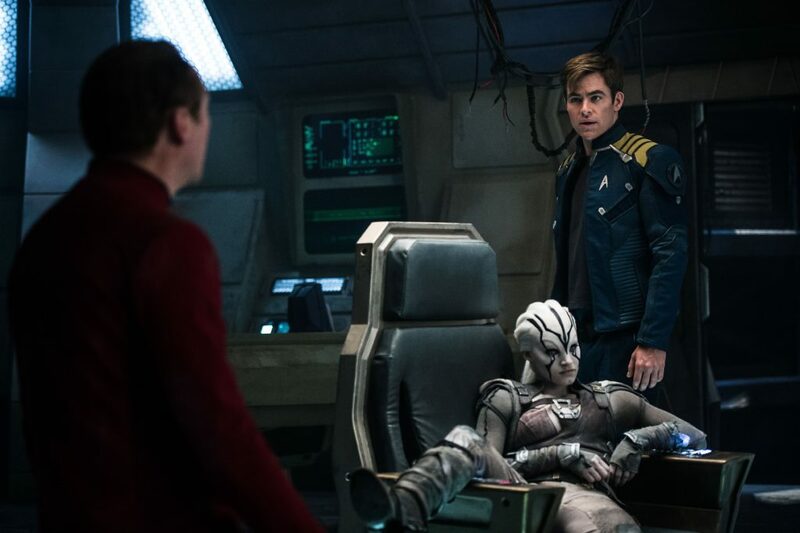 Additional episodes will explore Saru’s (Doug Jones) backstory as the first Kelpien to join Starfleet and Tilly’s (Mary Wiseman) journey aboard the USS Discovery and her friendship with an unlikely partner. 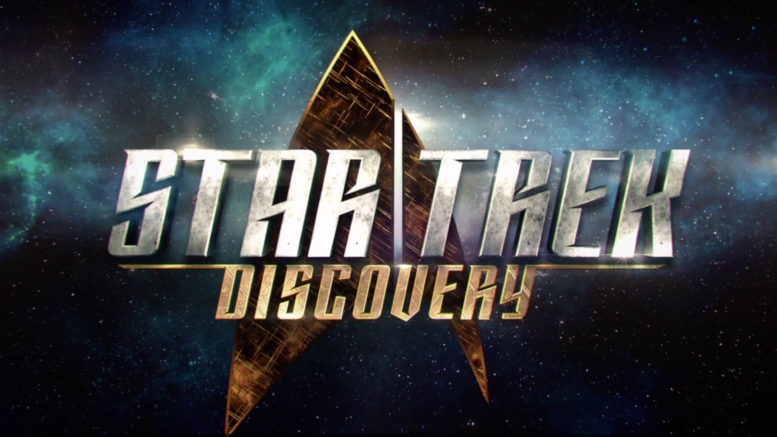 This should serve two purposes–keeping alive interest in Star Trek until Discovery returns, and giving fans a reason to continue their subscription to CBS All Access as opposed to only subscribing during the months when Discovery is on. Other news includes an announcement that Rebecca Romijn (X-Men) will guest-star as Number One. While Spock will be on the show, there is no answer as to whether it will by young Spock in flashbacks or Spock serving on the Enterprise. 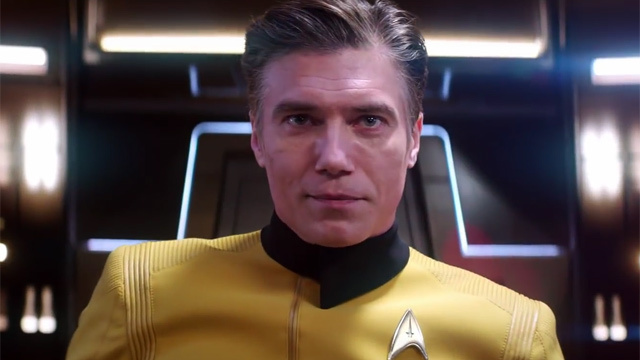 The trailer does indicate that Spock will be on leave at the start of the season, but will be involved in the problem which leads to Pike taking command of Discovery. Alex Kurtzman was evasive when asked if Lorca will return after his apparent death last season. 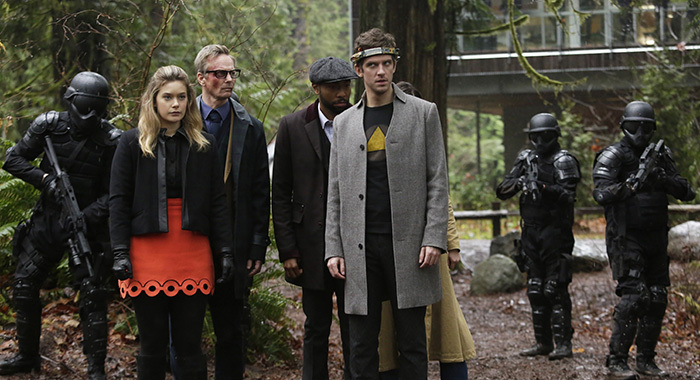 Culmets will be back, but we don’t know how. There was a hint that it had something to do with mycelium. 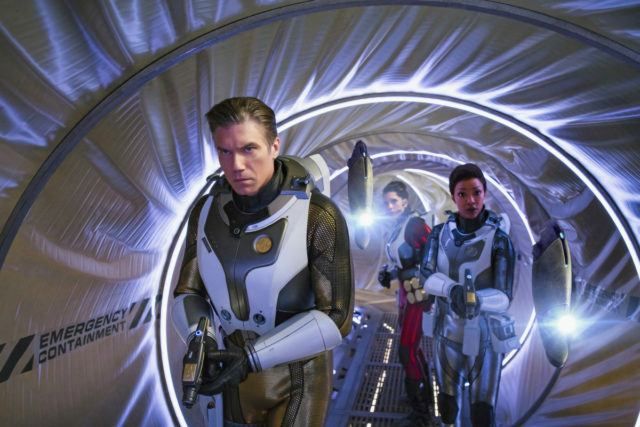 We know we owe you a lot of answers how Discovery connects to canon, and you will get a lot of those answers this season. Guaranteed. You’re just not going to get them the way you expect them. A lot of what the first season was about was about the crew finding each other, and coming together, and forming the foundation of a family. Now they really are a family. And so much of what’s will happen over the course of season 2 is going to test them constantly. And they’re even going to have to make choices between their real family and their starship family. So a lot of family pain is going to be a major part of it. As you may have seen in the trailer, there are these mysterious signals that appear. The signals are very significant, and form a lot of the investigative trail of why the Enterprise is here, and where they’re heading. And it will lead to a lot of surprises. 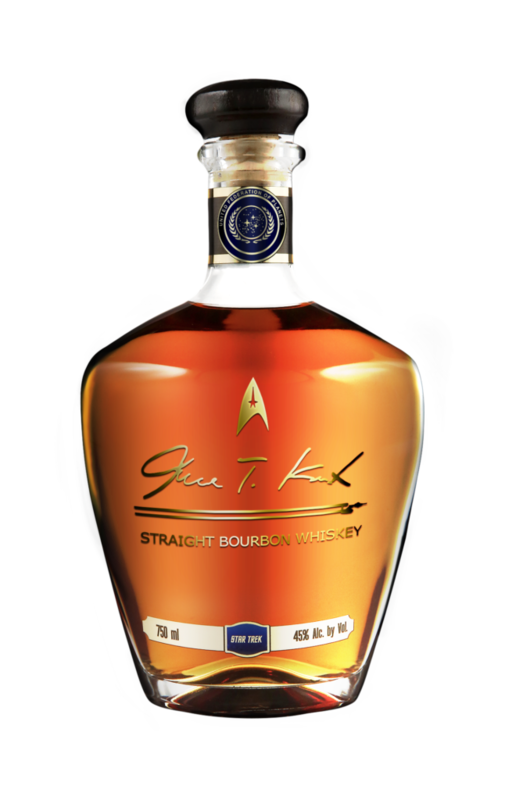 Earlier in the month I noted the plans for James T. Kirk Straight Bourbon Whiskey. The next in the line of Star Trek themed spirits was introduced at SDCC: Ten-Forward Vodka. The manufacturer plans to send a batch into space, which will be blended with the larger stock so they can promote this by saying that every bottle contains a tiny bit of space-bound booze. Star Trek Discovery will be returning in early 2019 with exact date not yet announced. MacFarlane clarified that the marketing team for Season 2 was staying more in line with what he believes is the core ethos of the show. “The show was always intended to be what it is now. I’ll start this by saying that I think the work that the marketing team at Fox did on the season is stellar. 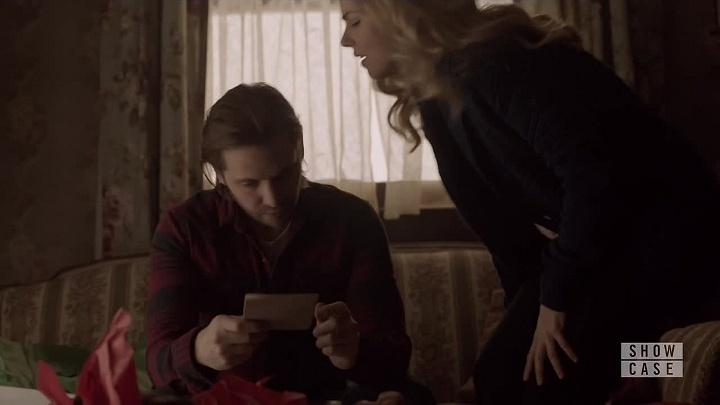 They just did a knockout job with [the Season 2] trailer,” he explained. The feel of Season 2 is going to be a lot bigger in Season 1 as MacFarlane says the writing team is taking more risks in their sophomore season. 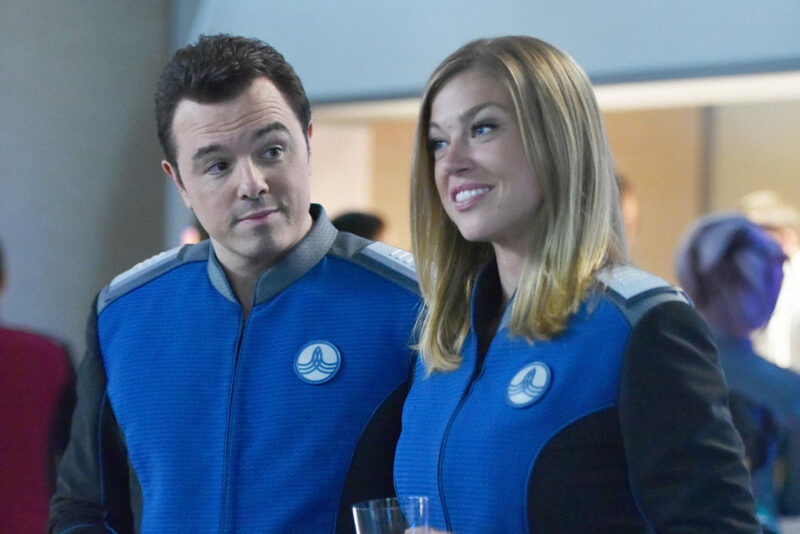 MacFarlane said “different stories call for different tones,” just like life has different tones, and the comedy in “The Orville” was always meant as a “garnish” more than the main course. To that end, he said early advertisements for the hourlong series weren’t in line with the final product. Video from The Orville panel above. The Orville will return on December 30. 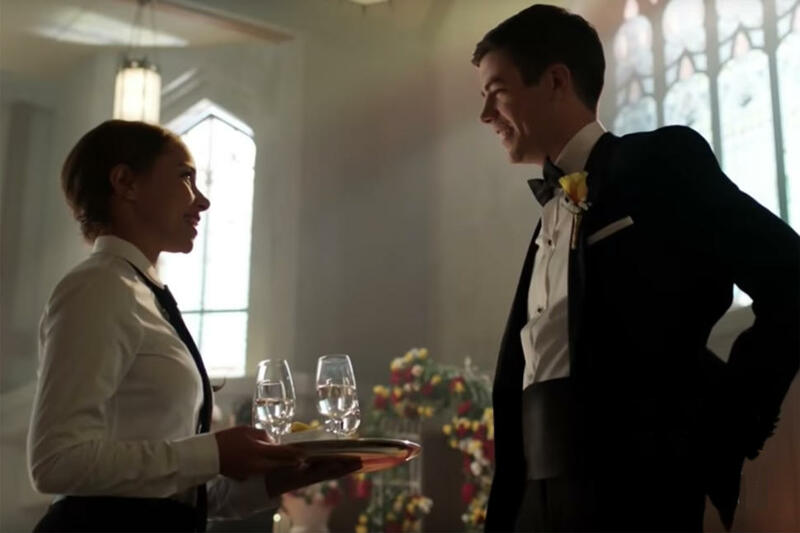 More on the second season here, including that the second season will be at least one episode longer than the first as one episode was held back. 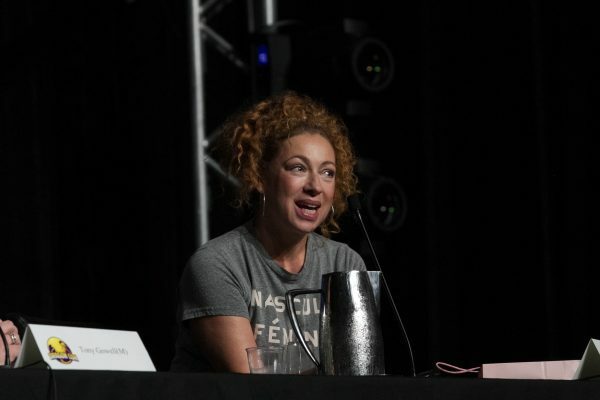 DEADLINE: Jodie, besides this being your first Comic-Con, you are the first female Doctor Who. What is the significance of that for you? WHITTAKER: Oh, it’s huge, really. I mean, your whole mind-set is programmed from being a kid that to play the Doctor, you have to be a man, and if you’re a girl you can be, could be a companion. So as an actor, for those rules to be thrown out the window at this kind of perfect time is really exciting. WHITTAKER: Because for the first time, the Doctor regenerates, but regenerates in this completely brand new way, which is really liberating. For me, now approaching the part it’s really liberating because there’s no rules for me in this way. Also, it’s a perfect job for any actor because even though there’s the 12 previous shoes that you’re filling, you’re able creatively to make it your own. So, I think rather than feeling the pressure of that, I feel the excitement of that. DEADLINE: Was the heritage of the show an advantage? 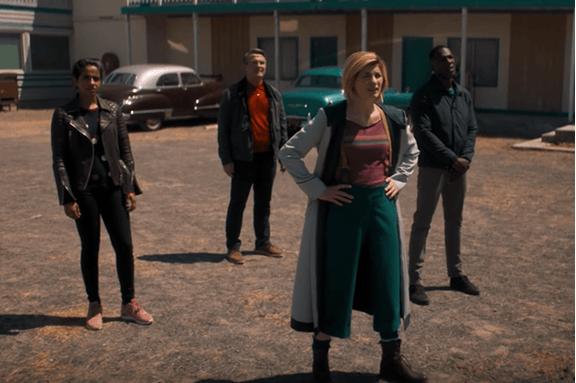 WHITTAKER: Well, no season of Doctor Who is like the previous in many ways and neither is a new Doctor, so coming at it with fresh eyes was helpful in so many ways because nobody knows the character before born into this new body. I just wanted to, I suppose, use my newness in myself to be able to bring that energy to the show. Then also, you know, there’s so many references. You’re never going to have a Doctor Who series without references to things that have gone before. So, I obviously have done enough research to know what I’m talking about. DEADLINE: Clearly, you know the 10th Doctor, David Tennant, from your mutual work on Broadchurch. Did you discuss the role and the show with him or other of your Gallifreyan predecessors? WHITTAKER: (Laughs) I’ve known David for years, but at first, I wasn’t allowed to speak to anyone because I wasn’t allowed to tell anyone that I got the job. So, it was the only the weekend before it was officially announced that I was able to speak to, very briefly, Peter, Matt Smith and David. DEADLINE: Did they have any words of Time Lord wisdom? WHITTAKER: I think the thing that was the overriding message was that you are going to have the time of your life. Also, that this is like no other job, and it’s completely unique for every single person who plays the part. DEADLINE: Speaking of playing the part, Chris, the two of you obviously worked together on Broadchurch and you have penned a number of Who episodes in the past. But what is it like working with Jodie on Doctor Who? CHIBNALL: Actually Dominic, that was the brilliant thing about it, really. Having known Jodie and worked with her previously, I know that she is limitless as a performer and is incredibly funny and full of energy, which something that many people haven’t had a chance to see. Often, and some of this is my fault, she’s been crying in shows for years on British television. So, now, I think what’s been brilliant is knowing how amazing she is as an actress, is to try and give her as much variety, and as much range, and as many challenges as possible to reveal her range and skills. Because the part of the Doctor can go anywhere and should go anywhere. So, in terms of us working together again, that’s been the joy of it on a show that, I think we can all agree, is pretty much the polar opposite of Broadchurch. 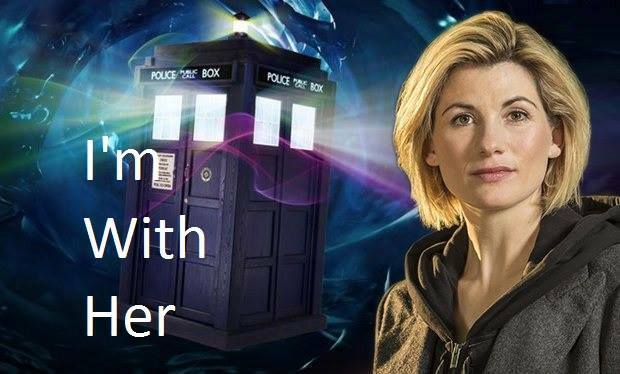 DEADLINE: Jodie, not just in terms of gender but generationally, you are a different Doctor than say Peter was. In that context, do you approach this with a clean slate point of view or as a continuation of the greater narrative that Doctor Who has built up over the decades? WHITTAKER: It’s not so much of a clean slate because you take what’s gone before, and you honor it. But to make it your own season, and for me, to make it my own Doctor, I want to take those elements that’ve gone before in a new direction without losing any of the rich history of show. 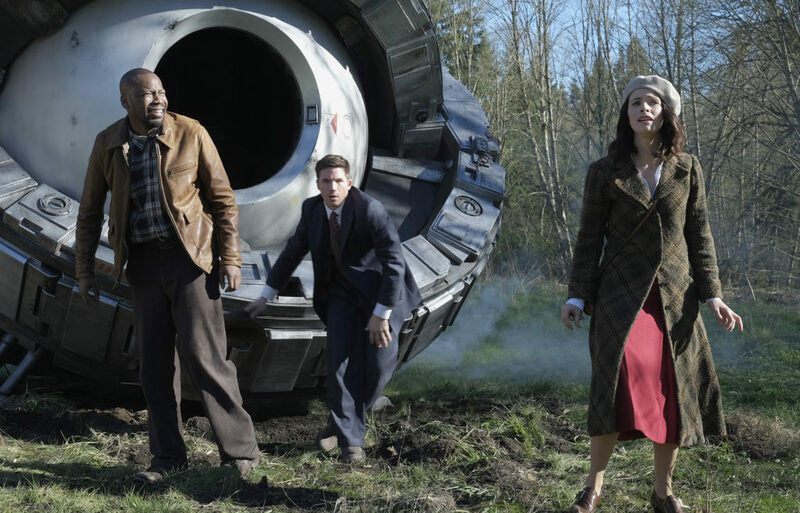 WHITTAKER: Well, the way we’ve been operating is that if you’ve been a fan of this show for the last 20 years or 50 years, then this will absolutely carry on your passion, and engagement, and excitement. But if you’re brand new to it, that’s OK too. You don’t need to have an encyclopedic knowledge to come into this with fresh eyes, and that’s of any age or gender. I think that’s what’s been exciting for me, because I didn’t come at this as a Whovian, and this is a show that’s inclusive rather exclusive and that’s great. 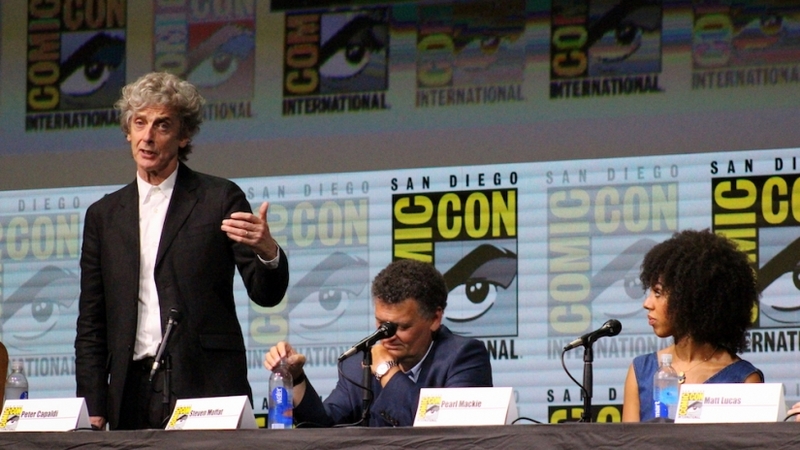 The official trailer is above and video of the Doctor Who panel is below. So far the BBC is only saying that Doctor Who will return in Autumn 2018. There was, of course, far more news from San Diego Comic Con which I will return to next week. As Damon Lindelof said during the Twin Peaks panel at Comic-Con, “Without Twin Peaks, there would be no Sopranos, no X-Files, no True Detective, no Fargo, no Lost…” continuing to list the shows which have changed television. Twin Peaks: The Return went beyond these in being unusual and something we have never seen before on television. We saw exactly what David Lynch would do with eighteen hours in which he could do whatever he desired, unedited. Some who are huge fans of David Lynch had great reviews. Television reviewers, probably along with most viewers, were more negative, expecting something more like television, and seeing a need for at least some boundaries on the imagination of David Lynch. 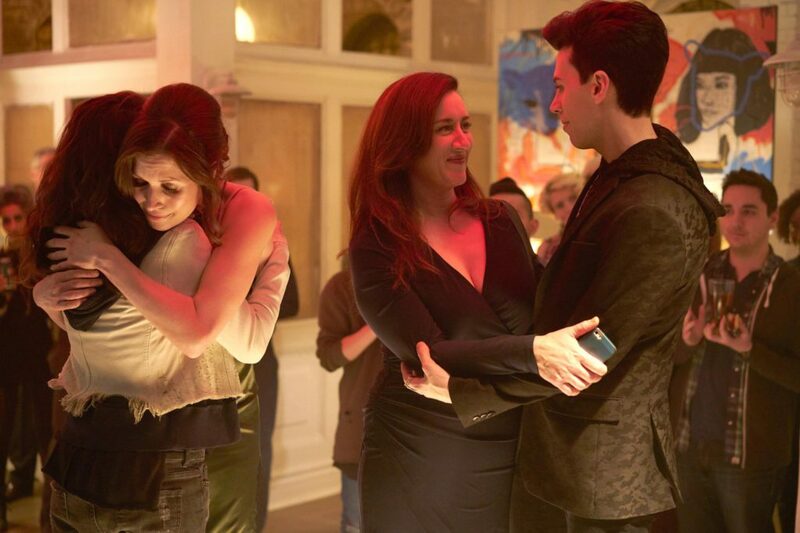 It is difficult to truly recap what occurred in either the series or two-hour finale last week. The series was slow, and often confusing. It included fake versions of major characters, including three different versions of Dale Cooper (or at least those who looked like him), and time travel. We also saw Diane, the off screen secretary from the original series, but of course things were not as they seemed with her. Perhaps most disappointing was how little there was of Audrey Horne, and with major questions about her left unanswered. An earlier disappointment was that Madeline Zima’s character, who I initially thought might be the Audrey Horne of the revival, was killed shortly after she took her clothes off. Many things throughout the series seemed to make no sense, but to criticize the show for this would miss the point in a David Lynch creation. 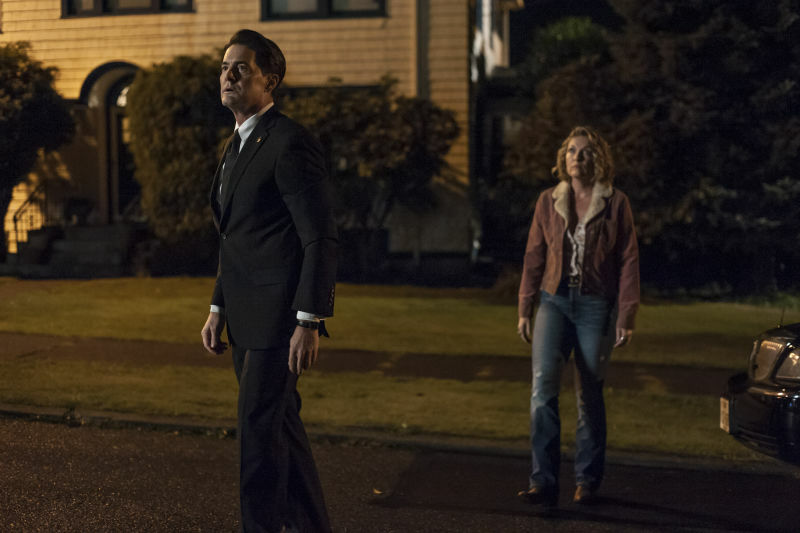 In the finale, Cooper went back in time to prevent the murder of Laura Palmer, and was as almost as confused as the viewers when the series ended with him asking, “What year is this?” This was followed by a scream from Laura Palmer, who perhaps was recalling her murder in another time. If the interpretation at IndieWire is correct, the better question for Cooper to ask might have been whether he was in an entirely new time line (perhaps created when he attempted to save Laura). 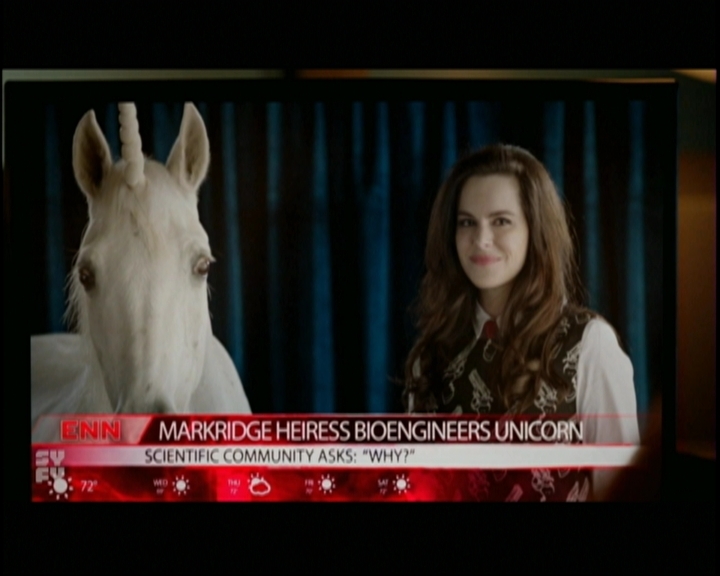 The episode then ended, leaving many questions open. Kyle MacLachlan has said there have been no discussions related to another season, and I wonder how many of those of us who made it through eighteen episodes of this series would do so again. Star Trek: Discovery will continue the venerated sci-fi tradition of using a fantastic setting to tackle real-world issues — only in a bigger way than any Trekseries has done before. The upcoming CBS All Access drama tells the serialized story of a war between the United Federation of Planets and the Klingon Empire. 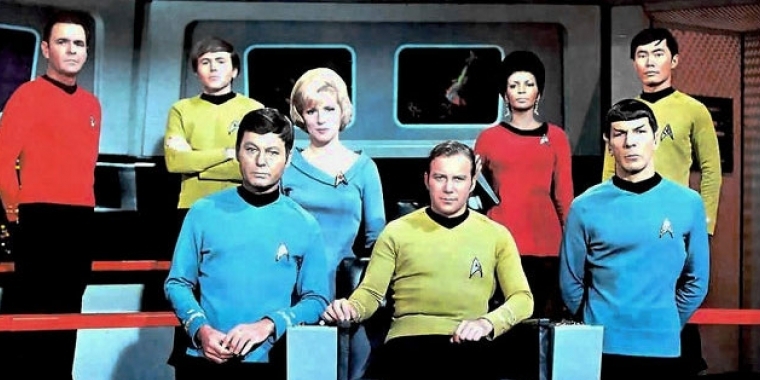 The show is set a decade before 1966’s original series — which premiered 51 years ago today — during which the Federation and Klingons were in a Cold War standoff that reflected yesteryear’s U.S.-Soviet relations. In Discovery, war breaks out and the Klingons leading the charge have some ideological ideas inspired by the 2016 electoral divide. Of course we have already seen another genre show deal with a Trump presidency–Game of Thrones with King Joffrey. 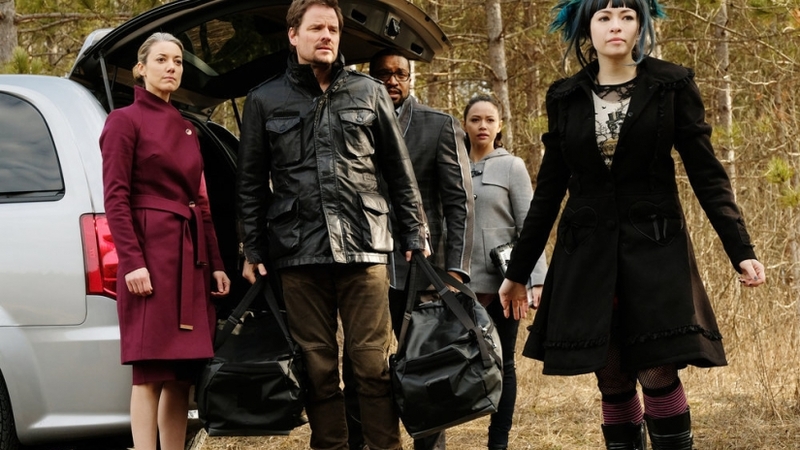 Discovery only takes place ten years before the events of the original show, meaning that we already know what some of the characters were doing at the time. TrekMovie.com reviewed where the TOS characters were. 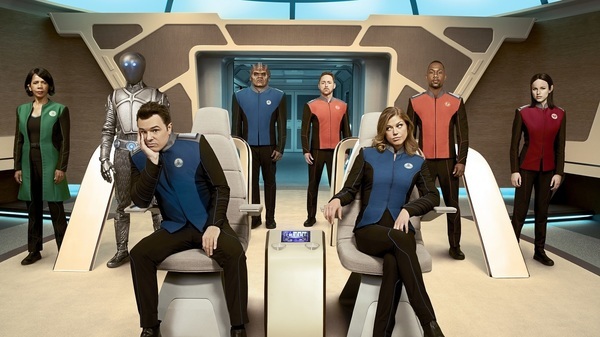 There will be another show paying homage to Star Trek premiering tonight, Seth MacFarlane’s The Orville. It was originally billed as a spoof, but many reviews are negative, along with saying it is neither a true drama or comedy. Vox compares it (negatively) to fan fiction. I had planned to summarize some of the other reviews, but now see that The Mary Sue has already posted excerpts from several. Billie Piper also says that Rose would be in love with the thirteenth doctor. 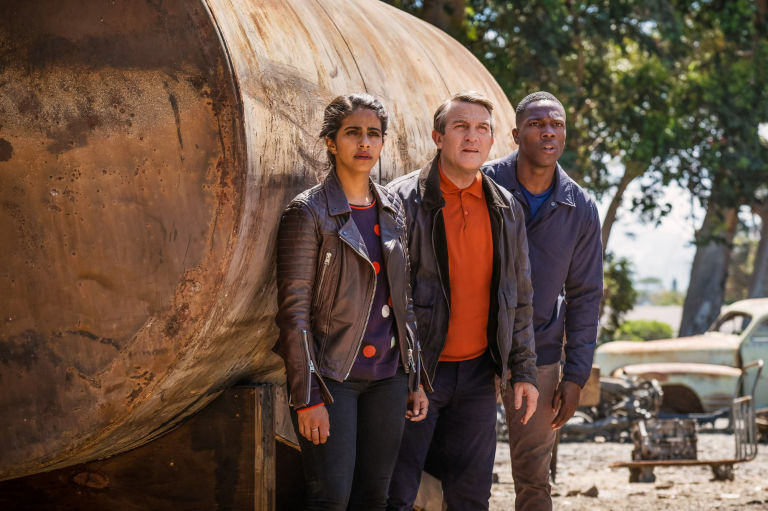 It was previously announced that the Doctor Who spinoff Class would not be renewed for a second season, but the possibility was left open that it might continue if it did well in the United States, where it did not air for several months after on in the UK. The cancellation is now official. Sian Brooke, who played Eurus in season four of Sherlock, teases the possibility of a fifth season. Hopefully it really is made.